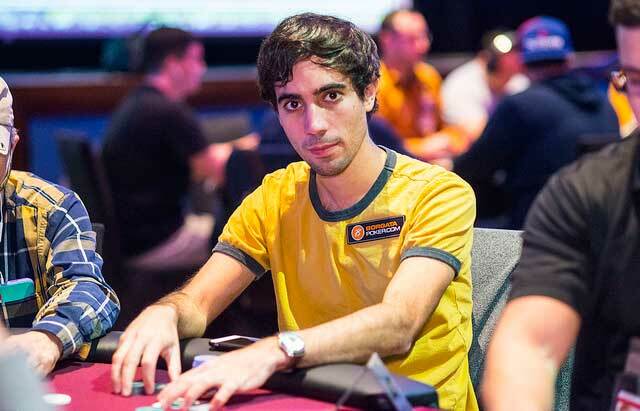 The New Jersey Online Poker Rankings continues to be topped by none other than Michael ‘Gags30’ Gagliano. Gagliano (4,288.22 PLB points), who routinely plays the highest online buy-ins that New Jersey has to offer, put together another impress month in March. He strung together 11 four-figure cashes, eight of which counted toward his PLB total. He cashed for over $38,000 in March, with the highlight being his runner-up finish in the PokerStars NJ Sunday Special for $6,750. Rising to the #2 ranking is David ‘dehhhh’ Coleman (3,814.89) thanks to a solid end-of-the-month heater in March. Coleman cracked the Worldwide Top 300 rankings thanks to a trio of cashes, each worth over $5,000. First up was his third-place finish on March 25 in Borgata Poker GSSS Spring ’18 Event #16 High Roller for $9,000. He followed that up the very next day by taking down the WSOP NJ BIG Deal for another $9,600. The run continued one day later with another outright win in the PokerStars NJ Super Tuesday for over $5,600. Taking a small step back into the #3 ranking is Yong ‘kwon17’ Kwon (3,636.84). Kwon was victorious in eight different tournaments in March which is the same number of four-figure scores the former New Jersey #1 raked in. Mike ‘lav519’ Lavenburg (3,527.23) retains his #4 ranking in New Jersey with the help of his mammoth victory in the partypoker NJ GSSS Spring ’18 $50,000 GTD High Roller. He took home the rare five-figure score of $15,500 and added 223.61 PLB points to his total. In addition to his big victory, Lavenburg pulled in roughly $66,000 in the month. Rounding out the top 5 in New Jersey is Daniel ‘centrfieldr’ Lupo (3,413.93). Lupo amassed seven PLB qualifying cashes including an over $5,000 score for his runner-up finish in the March 26 WSOP NJ BIG Deal. ’sri100k’ (3,015.28) rose six spots to claim the #6 ranking this month thanks to playing heavy volume and working his way to 16 podium finished in March. He earned $6,356 for his victory in the PokerStars NJ Turbo Series Event #26 which was one of 14 of his four-figure cashes in the month. Atlantic City’s #7-ranked Andrew ‘Mergulas’ Glauberg (3,001.91) cashed over 50 times in March including four outright wins. Though not one of his victories, his month was capped by a runner-up finish in the March 27 PokerStars NJ Super Tuesday for over $3,700. On March 26, ‘Jermz’ (2,964. 25) scored a trio of four-figure cashes including two fourth-place finishes on WSOP NJ and a final table finish in the Borgata Poker GSSS Spring ’18 Main Event for over $3,700. In total, he added nearly $10,000 to his bankroll on that day along and three qualifying cashes to help him remain at the #8 ranking. Michael ‘JohnnnyDrama’ Haberman (2,925.11) rose one spot to the #9 ranking in March on the back of nine podium finishes including a victory in the WSOP NJ $10,000 Fierce Warrior for $2,850. Weehawken’s #1 player, ‘ol muggins’ (2,922.78) completes the current top 10 ranked players in New Jersey due to a heavy schedule and the lift he received him his runner-up finish in the NJPC II Main Event at the very end of February which brought him a career-high cash of just over $20,000.